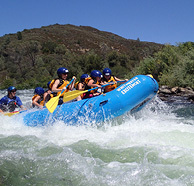 Whitewater Rafting on the American River with Whitewater Excitement will be one of the best times for everyone in the family. Getting the whole family together is no easy task – but it’s worth every second! We guarantee it! Family reunions don’t come around very often so you need to make the most of your family time while you can! 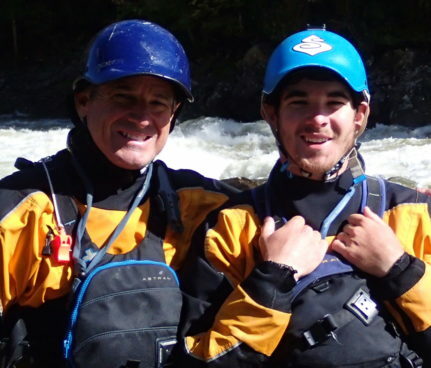 A great way to get caught up is to spend some quality time together on rivers that will both thrill and calm you all in some of the most beautiful river canyons in California. All of us at Whitewater Excitement, from our reservation staff, camp host, and our super fun river guides would love to share our rivers and canyons with you. We also make it easy to organize your family adventures. Our group specialist will help you determine the best trip option for your group depending on your family’s age range, adventure level and fitness level. Because family reunions usually have a wide range of these constraints, we can help plan different adventures for different groups of your family and then all can join up in a common adventure together, too. We make it easy by emailing out information to all family planners. We make payment easy, allowing separate reservations and payments, yet keeping your family members together on the same boats or vehicles. We would love to help you create memories that last a lifetime. Our Private Camp area right on the banks of the South Fork of the American river will allow you to come up and relax in a camping area specific to only our company. Our dedicated camp hosts and cook will make sure that you all get the treatment you deserve and more! Families of all ages and experience levels enjoy exploring in outdoor adventures together. We are all just kids at heart and we love to share fun for families on the rivers we love. We at Whitewater Excitement, will take care of everything, just give us a call and it is all taken care of. 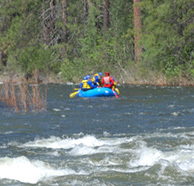 Providing super fun, highly trained, experienced and caring guides. Our reservation staff that will take the time and ask about you and your needs so we can recommend and provide the best family experience for you! Customized special family requests and needs – We do it all the time. 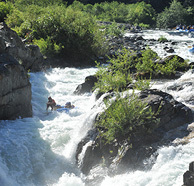 We are a family run river rafting company. We love and have our own kids! We provide kid-friendly guides, food, and fun! Great Group discounts for families of 12 or more (20%)!